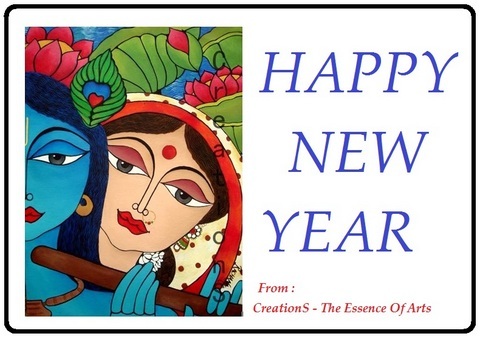 CreationS - The Essene of Arts: Happy New Year..!! We wish you and your family a very Happy New Year..!! And A BIG Thank You..!! For your support and appreciating my work in past two years. happy newyear rachana .hav a wonderful yr ahead.. Thank you guys..! Wish you the same Saheli, Purvi, Kala..! !